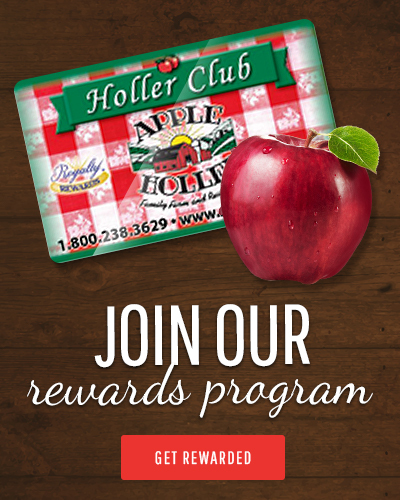 Bring your group for a refreshing break to visit Apple Holler’s Family Farm and Orchard. We have some shorter tour options available to pick from. You can combine a couple of options for your own custom tour. Whatever the need or occasion, we can tailor your group’s tour to the needs of your group. Ala carte options are available to groups of 30 or more. Just give us a call at 262-884-7100. It will be our pleasure to plan your perfect outing! 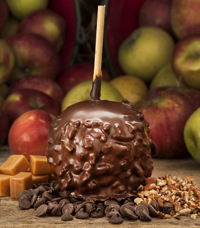 Down Home Cooked Meals – Touched by the Magic of Apples and served in our Red Barn Restaurant. Many options available for Breakfast, Lunch, or Dinner. Orchard Tour – Includes a fun-filled tractor-drawn, narrated tour of the Apple Holler orchards, farm, and Enchanted forest complete with apple fritters & cider. Pie & Coffee – Bring your group for our famous award-winning Apple pie and Sassy Cow Ice cream. Then shop in our country store, gift shop and bakery. 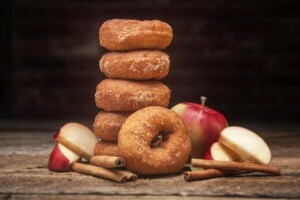 Donut Stop with Coffee or Cider – Our Delicious Apple Cider Donuts make for the perfect treat. Horse-drawn Sleigh Ride with Campfire & S’mores – Enjoy a horse-drawn sleigh ride through our orchard and Enchanted Forest followed by a campfire with s’mores and hot cider or hot chocolate. Horse-drawn wagon ride may be substituted for sleigh ride. Harvest Moon Group Hayride – Tractor-drawn wagon ride through our orchard and Enchanted Forest followed by hot or cold cider around a warming campfire. Add s’mores for $1.50 extra per person. Build Your Own Lunch Combo – Build your own by picking from: Homemade Soup, Farm Fresh Salad, Half Sandwich & Slice of Pie. Pie Tasting Party – Sample a variety of our delicious award-winning pies. Non-alcoholic beverage included.